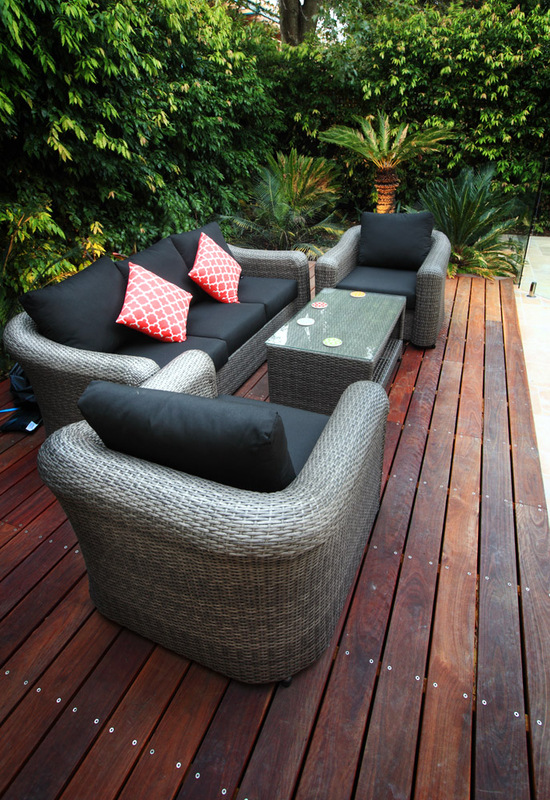 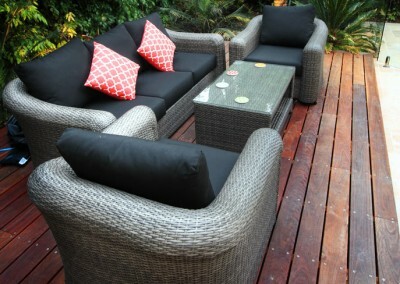 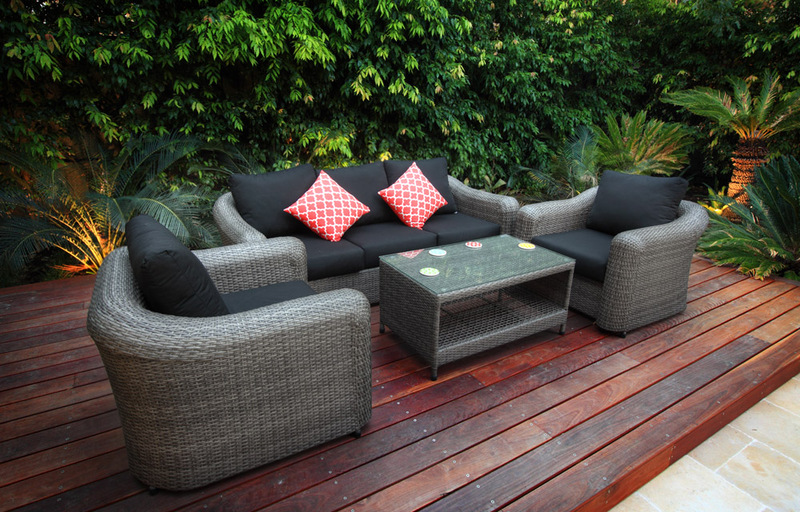 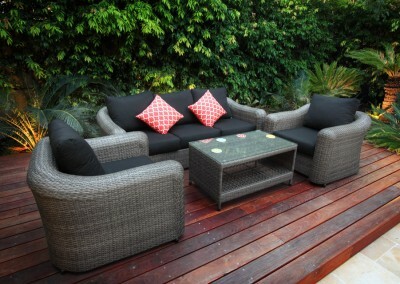 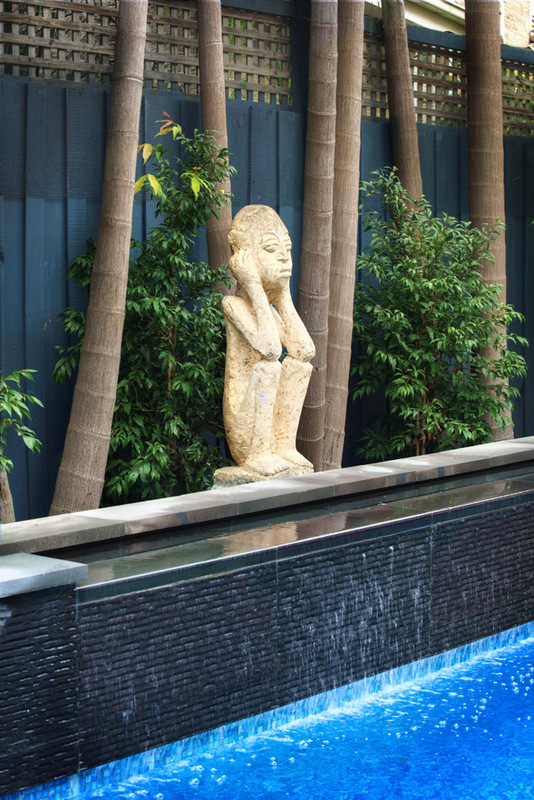 This Balinese inspired design fits perfectly in this small yet inviting backyard. 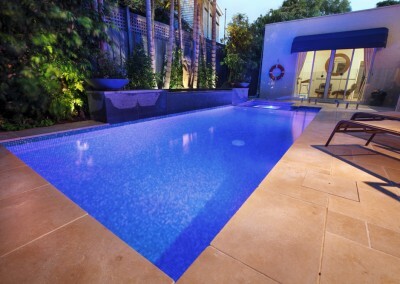 The owners of this inner city property briefed Kiama to complete a complete backyard renovation with a twist. 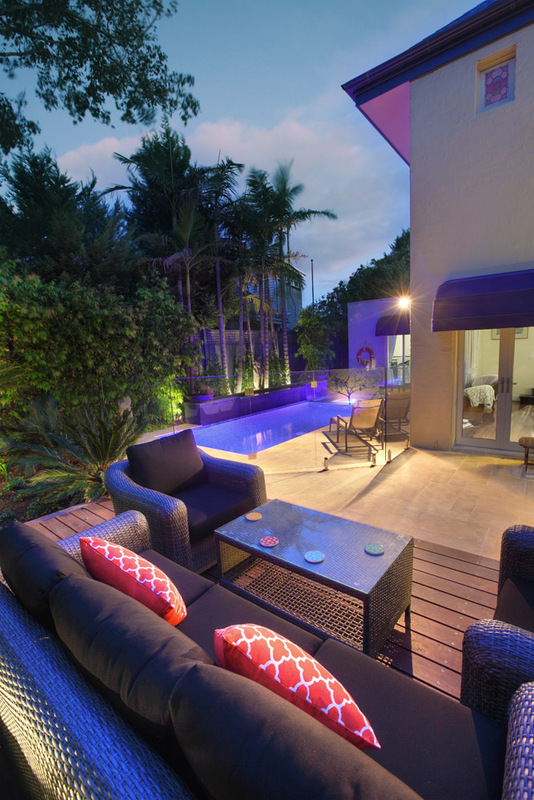 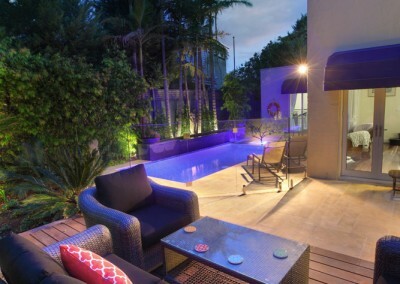 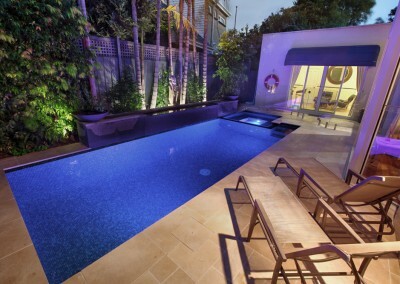 The pool area, which is long and narrow, extends around to the side of the house, providing a peaceful chill out space. 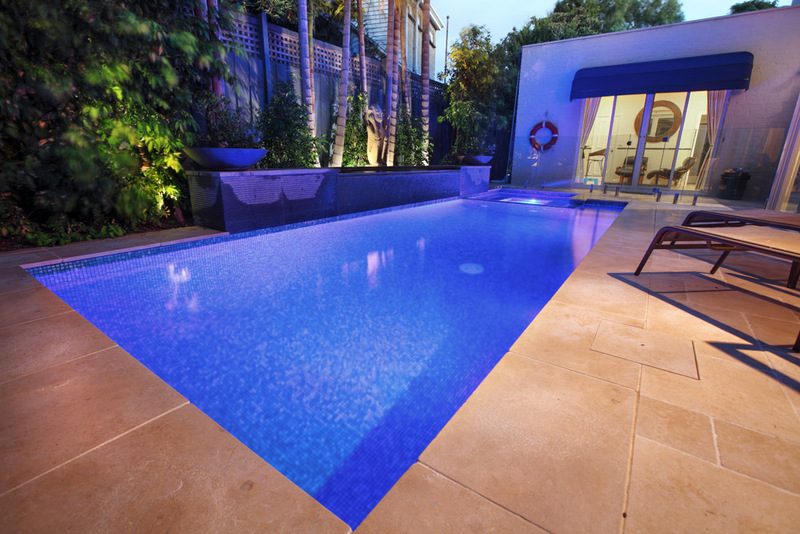 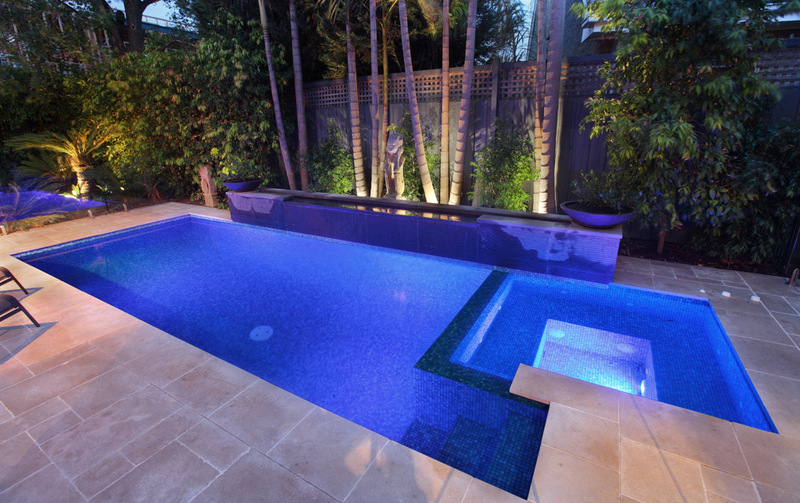 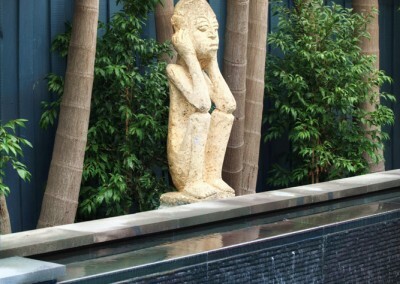 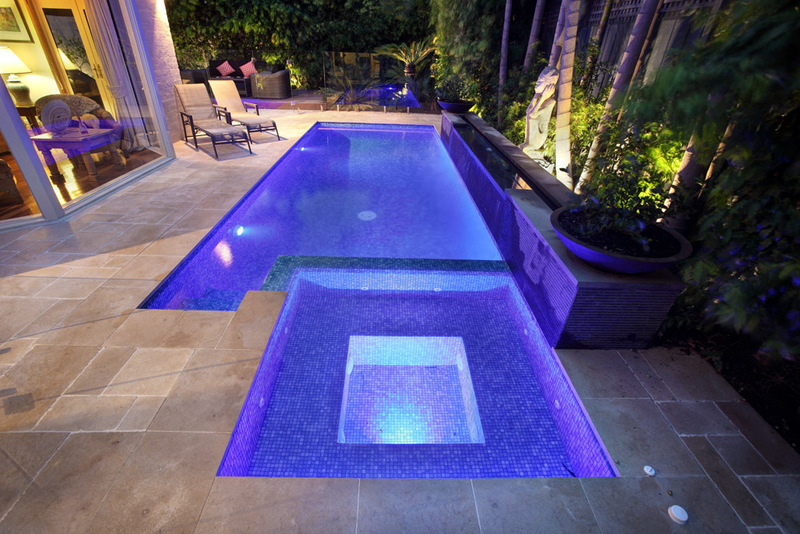 The stone wall, in the pool area, featuring beautiful Australian Bluestone provides a soothing water feature. 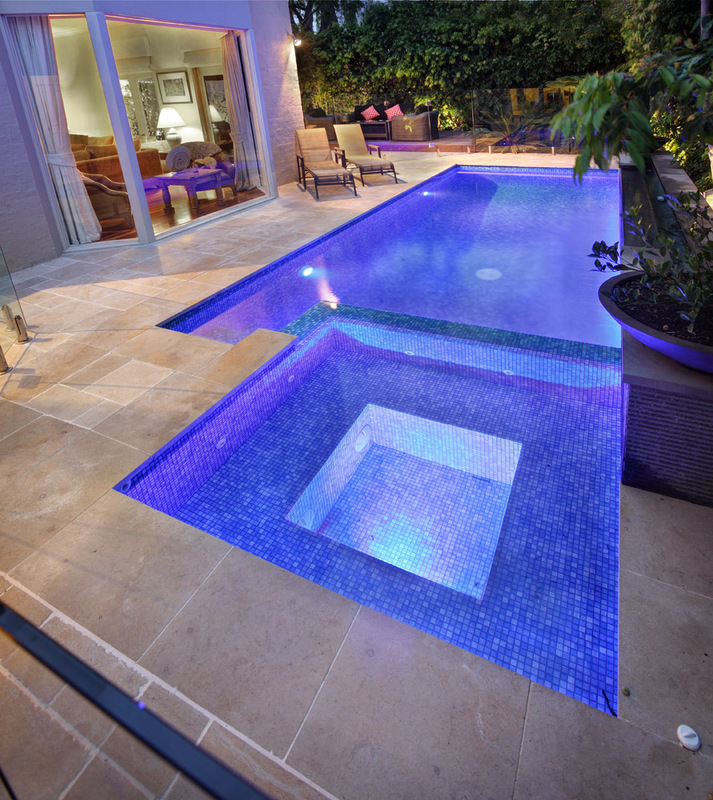 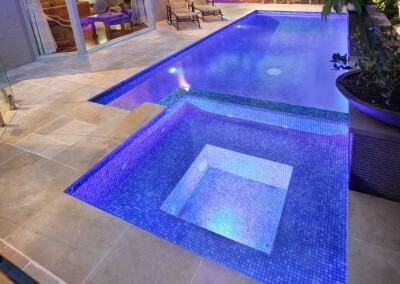 The tropical, Balinese feel blends perfectly with the natural Travertine paving used for the pool surrounds. 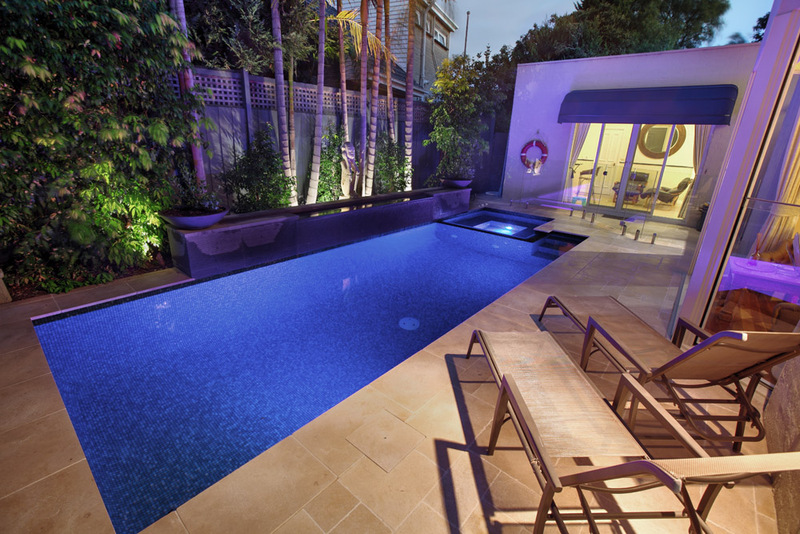 This pocket of paradise has many summers of entertained decked out for it.